One of the first things we did after we had purchased Camara was trying to contact her original designer, David Alan-Williams. David was quick to respond to our message and he has since been an invaluable support to us during the refit. His detailed knowledge of Camara's design and history along with his professional capacity as a designer has been a great asset to our supporters base and he is providing us continuous support with important design changes such as reducing her draft. We are glad to have David on board with this project and can only recommend you get in touch with him if you are looking for your next yacht design or require professional advice with your yachting project! When Peter and Christina got in contact saying they had liberated the original Ocean 80 “Creighton’s Naturally” from NZ Customs, and wanted to convert her to a fully cruising yacht, it signaled the start of new adventures for this much travelled and evergreen yacht. After competing in 2 Whitbread Races with Les Williams, including a memorable first to arrive in Auckland aboard “Heath’s Condor”, he commissioned me to design a new lightweight maxi yacht for the next Whitbread. With builders Southern Ocean Shipyard committing to production tooling for the world’s largest single molding GRP unit at the time and Doug Peterson as co-designer, the first of 10 hulls was launched in 1980 just in time for the Round the Island Race, UK. Despite not being able to set a full main, the lap record was only just missed by a few minutes. A few years later Hull #4 “Ocean Leopard” set a new lap record. After a handful of names, 4 circumnavigations and many stories, Peter and Christina are skillfully turning this global racer into a special family cruising yacht. 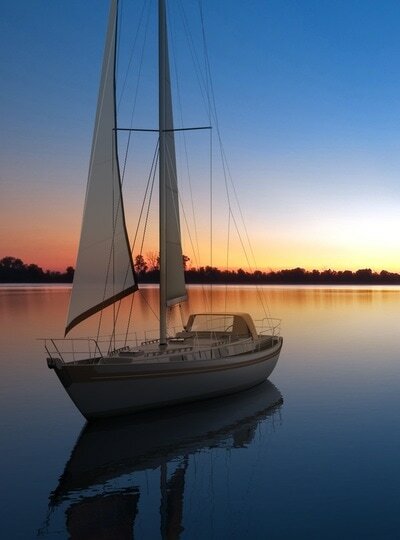 Ocean Home and Yacht are pleased to support them with design backup for plans and information for the refit, also details for a shallower draft keel. Christina, Peter, Cameron and Tara can expect some great adventures aboard “Camara” that will be the envy of others. Some previous designs launched include: Contessa 38, 50ft steel cutter, Alien & Avalon 35 catamarans, Steinlager 1 trimaran, DAWN Class 39, 42 & 43, Snapper 24, Dawn 390 solo dinghy, Trident 54 power catamaran, re-design for Enza NZ catamaran. 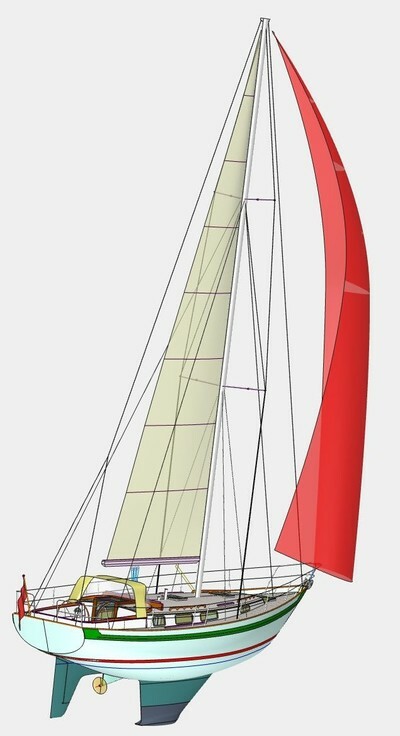 A classic styled cruising yacht, “Brychan II” Dawn Class 43 design is currently in build by a husband and wife team, with a launch date in ’18.